SANITY FAIR: THE JOKE'S ON YOU! Playing games... what fun! And shouldn't fashion and design be fun? Dashing? Giddy? Perhaps... silly? Kate Spade and Jonathan Adler certainly think so. 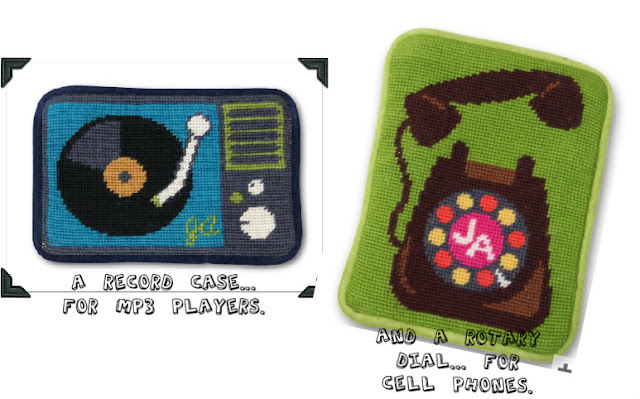 They're scrawling lines on handbags, knitting notes on their gloves, and needlepointing rotary phones on their cell phone cases. Life's a gag, a game! Shouldn't your wardrobe be too? P.S. Stay tuned tomorrow for the start of an awesome designer give away!!! Haven't had a chance to stop by lately but just catching up and must say your posts lately have been really especially marvelous - laughed out loud reading the reese's pieces driving post - just love eating when in the car - what is that?! And today's very clever also - wanted to add Olympia Le Tan to the mix - she'd fit right in! 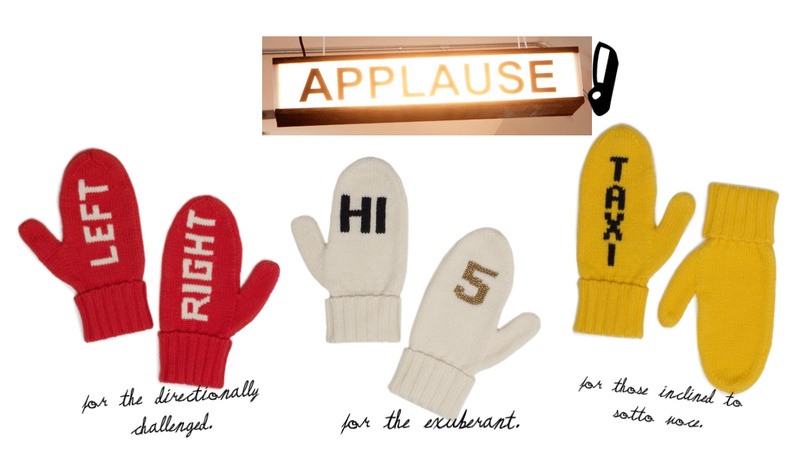 I LOVE these items, especially the mp3 cover and the "taxi" gloves. 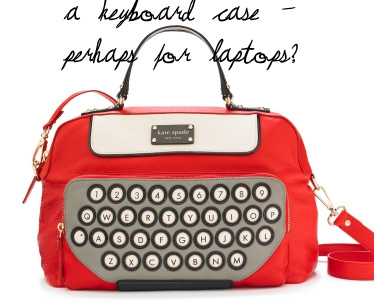 The laptop case is over-the-top cute. I'm must be out of touch on these. I had not seen them yet or if I did don't recall. 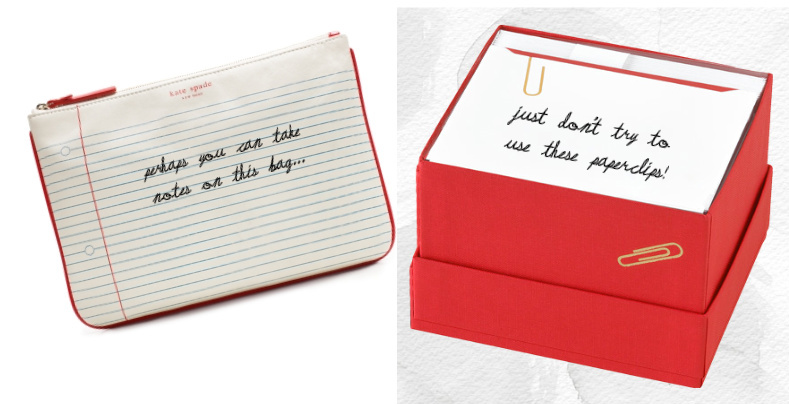 Love both designers, of course!